Ashley told me she is the Smoothie Queen. 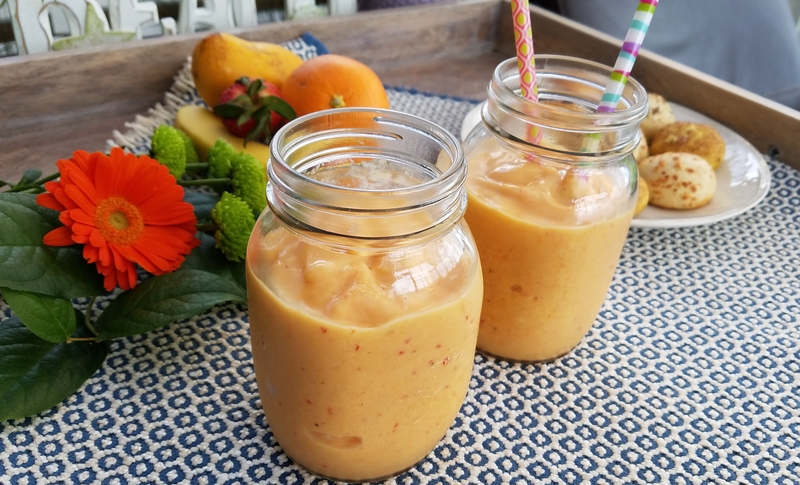 I like to challenge her title with this Sunshine Smoothie. 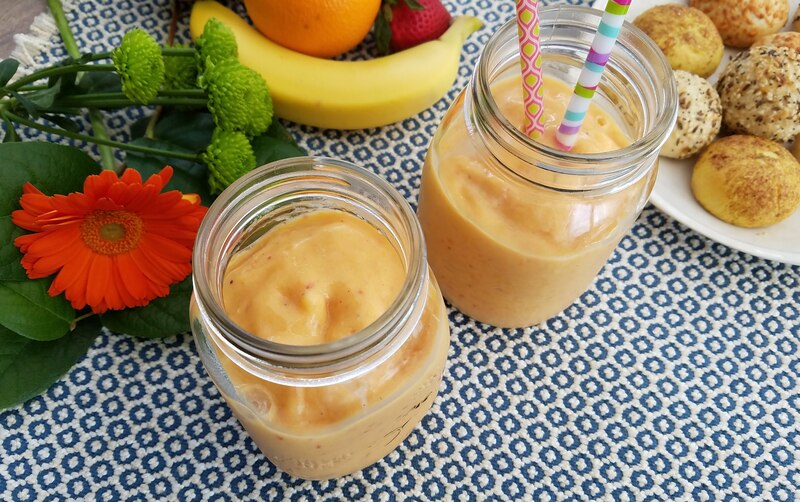 I used my favorite Cara Cara orange with frozen banana, mango, and strawberries. Cut and freeze the fruits the night before, and the next morning, enjoy a power start to the day in minutes. Pour orange juice into the blender and add all remaining ingredients.